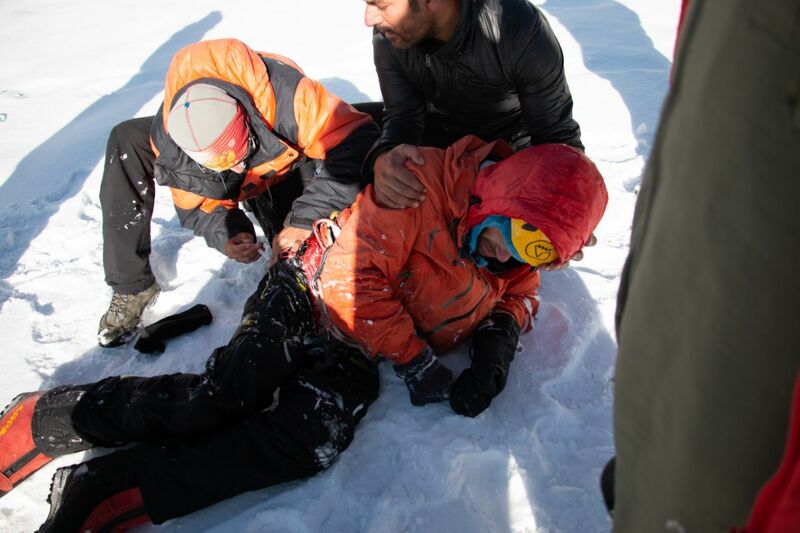 UKC Photos - Alex Gukov is detached from the helicopter sling at Base Camp. Alex Gukov is detached from the helicopter sling at Base Camp. © UKClimbing Limited. All rights reserved. Last updated July 31 2018.